Destination Blue All-Access pass to Ontario's Playground! Let Destination Blue give you an All-Access pass to Ontario's Playground! With Destination Blue, your options are endless! We'll make sure you get what you want, our expertise ensures you get what you need, and our commitment to detail means you'll even get what you didn't know you needed!" 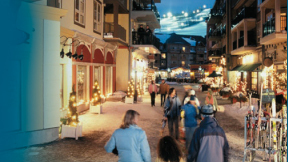 Destination Blue is committed to giving our customers unparalleled destination management service - in the Blue Mountain area or wherever you need us. Our professional, passionate, and talented team will take care of the countless details ensuring seamless planning and execution of your event. Make sure to check out our new photo galleries!